The choice will fall on new Gripens or second hand Eurofighters and F-16s. Last Friday, the Minister of Finance of Bulgaria Vladislav Goranov said that the modernization of the military fleet will be assessed in next year's budget plan. At the same time he made it clear that it will evaluate a sufficient number of aircraft to cover half squadron of fighter and not an entire squadron as previous statements. Among the various tenders submitted by construction companies it has not yet been decided who will win the program, certainly the choice will fall on the new Saab Gripens or second hand Eurofighters and F-16s. The move to include the issue of the new aircraft in the budget is a sharp departure from the previous position of the government, which had repeatedly stated that the current budgetary framework did not allow a huge defense spending over the next year. 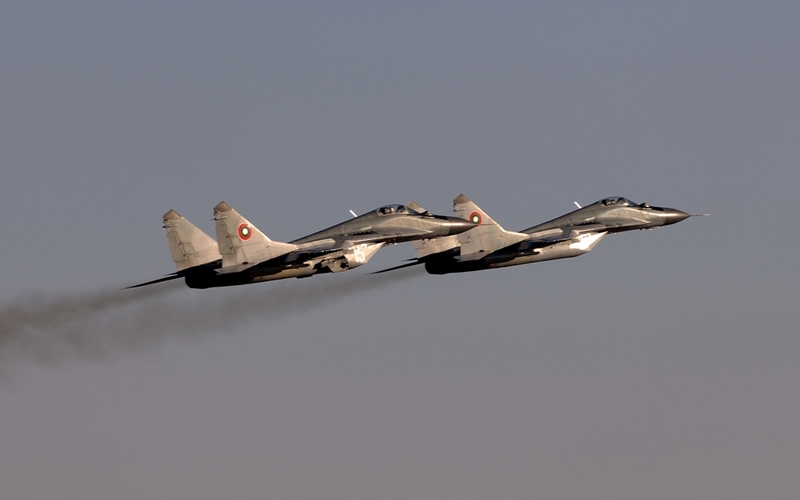 Minister Nikolay Nenchev signed last week an agreement with Poland for the revision of six MIG-29 engines of the Bulgarian Air Force. The budgetary problems it was not possible to renew the maintenance contract with the Russian company RSK MiG. Separately, Air Force Commander Brig January Rumen Radev expressed his disagreement with the current technical conditions of the Bulgarian Air Force also considering the commitment to NATO for air surveillance operations of the Allied nations and the Bulgarian airspace.